To God Be The Glory in the name of Jesus! My family needs the Lord's miracles...does your family? ...Who do I need to call, what do I need to get up and do? In the Quiet of Resting with Him....I heard HIm say..."Do you Remember the time, when I came to help you last week-last month, last year when I gave you the money for the taxes and the medicine and the gas and the food and... Do you Remember the Time, when those people lied on you and I was right there...Do you my daughter, Remember the Time you adn your family were in need? Was I not right there on Time?" 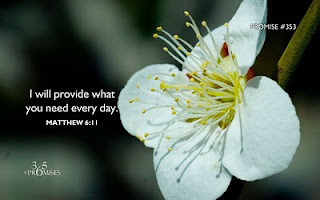 My Beloved Joyfully Reminded me of what I need to do...Yes Lord! So Then, I speak the truth to myself....there IS No One I can call to help us But Jesus, There Is No one to come see about us But Jesus...The Lord has placed me and my family away from our past...cut us loose...He Alone is our Way, our Help, Our LOVE! To God Be The Glory in the name of Jesus our Good Shepherd! Amen! Full of faith, I pray in the name of Jesus, Knowing that He has released everything that we are in need of Right Now. I have bound up in the name of Jesus, every work/assignment sent by the enemy to be against me and my family...And I know the Lord has bound up and reflected every fiery dart sent to cause us to fall & fail as we Walk His Way! Yes Lord! And I Expect Him to Come and reveal to me what He has done for us. If you are consistent in what you say and know that you believe...then you will not give up on Him...walking away faithless, with a spirit of being defeated.....Not happening that way my sisters and brothers! I am Waiting in the faith that He has grown in me....And, He Is renewing my strength to help me through this...He has shown me-Placed in my heart His Desires, His visions for my life...Therefore, His plans, His purposes for my life have Already been Done in Heaven...I Rejoice! I Know there is No Way I can fail if I am dependent on My Lord! Yes Lord! The Lord spoke and said that I am to Pray for those that He brings to the eyes of my heart....that is what I need to do to better my situation, to correct my circumstances...Love and Pray for them in His name. And that is Exactly what I began to do, and I am still doing it...That is how this message, this note of encouragement came to be...to help you! My heart Is His Home, His Garden..... and In my nakedness do I stand before my Lord, nothing is hidden from Him. From deep within me does my Love, Trust and Faith for Him cry out to HIm. He Alone Is the solution for the impossibilities that we face....He Will come through for us in Ways never imagined nor thought of...and I thank Him for His other Obedient Followers who listen for and obey His directions....Amen, Thank You Jesus! 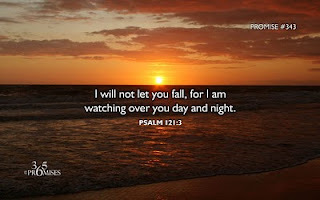 But that my life is in the Hands of my Good Shepherd...Yes Lord! As each crisis comes and passes by, try to distract me as they might...I do Not take my attention off of Him! The seeds of fear that these obstacles & impossibilities spread, trying to make me think that I am overwhelmed, shall not be received in the ground of my heart because His Truth Lives in my heart. This is how I see and know it to be....How could the Master instrument maker Fashion me to break or to play tunes that Are Not pleasing to His ear? He Knows just what I am able to bear without straining and breaking....He would not ask of me anything that would destroy or strain me...such a delicate instrument of His Design. For I rest in the Lord and I wait patiently in Joy, Praising Him, for He Is the Good Shepherd who Takes Full care of His Fold! Psalm 9 "I WILL praise You, O Lord, with my whole heart; I will show forth (recount and tell aloud) all Your marvelous works and wonderful deeds!"